The enemy controlled United Nations is nuts! attempted murder in the U.S. None of these cases are eligible asylum claims. Hellary would have said "OK."
if they were actually granted entry to this cuntry. to open carry, stand your ground, Texas. it seems the invasion is heading farther west to California! I am actually of mixed feelings there. I might be OK with the Latins occupying California. radioactive forest fire smoke, and DEW attacks, it isn't a fit place for Americans to live. 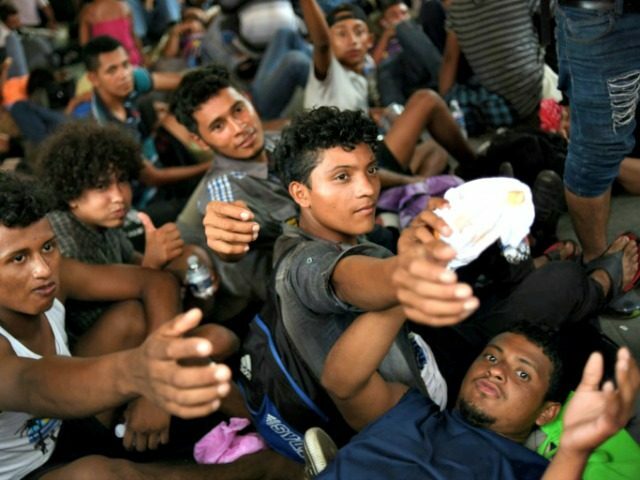 I can see Trump following the UN order right after the supreme court demands he do so, but not until or the dems agree to fully fund the wall if he lets this group in the door. Knowing Trump he wouldn't go for that unless congress returned and passed the bill before they arrived.